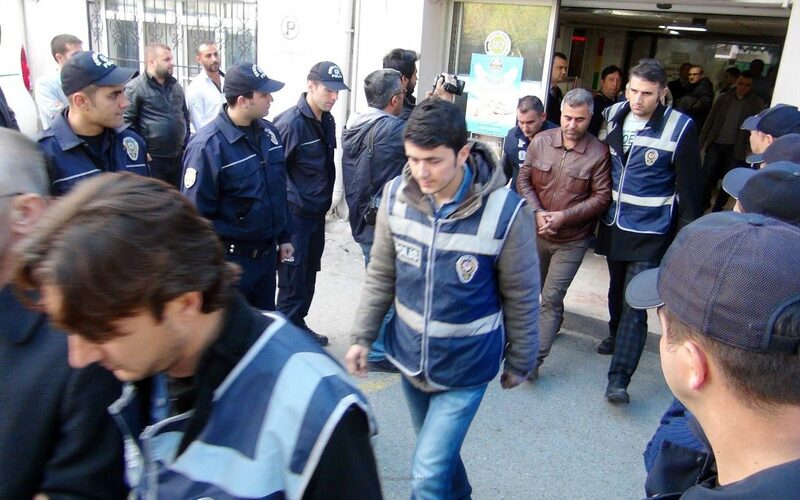 A total of thirty-three police officers have been arrested on Thursday over alleged links to the Gülen movement, the Haberler.com news portal has reported. According to the report, earlier this week, as part of an operation based in Antalya, police teams conducted raids in İstanbul, Ankara, Konya, Eskişehir, Burdur, Kilis and detained a total of 53 police officers over alleged Gulen links. Of those, 33 were sent to jail on Wednesday and Thursday, while 12 others were released pending trial. Some of the police officers are accused of using ByLock, a smart phone application that authorities believe is a communication tool between members of the Gülen movement.